Summer is here! Well, sort of. As I am writing this, at the end of May, raindrops fall on the window and I’m trying to keep the flooding at bay, dreaming of warmer days and the sort of evenings that call for a cold glass of salty, nutty, delicious Fino Sherry. One of the many delights of summer for us in the wine world is the annual release of en rama Sherry. Here at Berry Bros. & Rudd, we are lucky enough to work with one of Jerez’s finest producers, Bodegas Emilio Lustau. Three times as lucky in the spring, because that is when Lustau bottle and release not one but three different en rama Sherries – Fino de Jerez, Fino del Puerto and Manzanilla de Sanlúcar. Perhaps it is my personal greed coming to light here, but why have one, when you can have three? 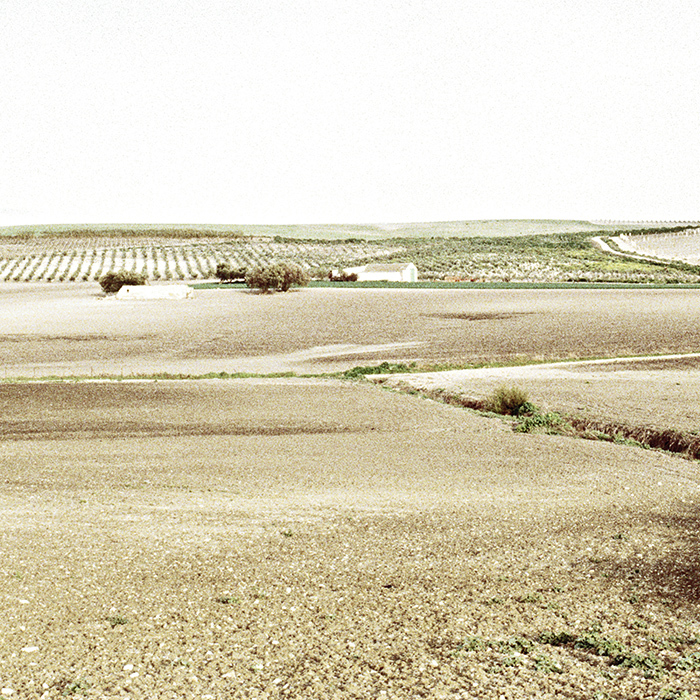 Lustau is unique in that they are the first and only bodega to make biologically-aged Sherries in all three towns of the Sherry triangle – Jerez, El Puerto de Santa María and Sanlúcar de Barrameda. You might wonder how different these Sherries can be to warrant three bottlings; after all, the towns are not that far from each other. But for the production of Sherry, the local microclimate is hugely important. The town of Jerez is furthest from the sea and here the conditions are less humid than in El Puerto or Sanlúcar. Humidity is important for the production of “flor”, the live yeast that grows on the surface of what we call “biologically-aged” Sherry wine as it ages in old wooden casks; it protects the wine from oxygen, acting as a barrier between liquid and air. Flor also imparts salty, yeasty, nutty flavours to the Sherry. A fickle thing, flor likes very specific growth conditions and those include high humidity, as well as a very particular alcohol range of around 15 to 15.5 percent. Even within individual bodegas the taste can differ from cask to cask, simply based on how far it is from the door or windows, or how high it is off the ground. The lower humidity of bodegas in the town of Jerez results in a thinner veil of flor, and as such less delicate but nuttier flavours. Jerez Finos are therefore the most full-flavoured and rounded of the biologically-aged Sherries. Manzanilla is a Fino aged in the coastal town of Sanlúcar de Barrameda. Sanlúcar is located on the estuary of the Guadalquivir River which brings in a breeze from the Atlantic Ocean. The humidity is high and the flor grows the thickest here. Manzanilla is famous for its delicate, salted almond and camomile flavours. This area also has some gorgeous sandy beaches so makes for a great holiday destination, too. Some people may try and tell you that Manzanilla’s saltiness comes from the salt being carried into the winery by sea breezes, but whether salt can penetrate into wooden casks is somewhat questionable. Finally, the coastal town of El Puerto enjoys a mild climate all year round. The style of Fino del Puerto does, conveniently, combine the best of the other two, fullness of flavour but with a delicate see-breeze character. En rama Sherry is only released once a year. The timing is crucial, around April is when the flor is at its thickest, having enjoyed optimal growing conditions during the humid, cool winter months. Lustau selects the best casks of each style from each of the three towns and bottles them straight from the cask. This is important and is what en rama stands for – unfiltered, “raw” Sherry. If you’ve ever been to Jerez and had the fortune to taste Sherry straight from the cask, you will know how utterly delicious it can be when it’s so fresh. And if you haven’t, well, these en ramas are the closest you will get to that experience. Most standard Sherry is always lightly fined and filtered, to keep the bright colour and a longer shelf life – and it never tastes quite the same. En rama allows you to experience the “taste from the cask”, at home. This does mean that en rama is intended to be enjoyed as fresh as possible. While it won’t degrade quickly and can be kept for months, the salty delicacy will simply slowly give way to nuttier flavours. Not something I see at home; once it’s in the fridge, it’s as good as gone! Our Lustau “3 En Rama” Sherries have now docked in the UK. En rama cries for traditional tapas and I’d recommend serving them with salted marcona almonds, a plate of jamón iberico (de bellota, if you can find some) and juicy green olives: it’s one of life’s simple pleasures. Shop our range of en rama Sherry here. I love the dry saltiness,what a find! I wish that l had discovered En Rama years ago.